First it was Lipa City last Aug. 27, hosted by Lipa Archbishop Ramon Arguelles. Then it was Cebu City last Oct. 1, hosted by Ricardo Cardinal Vidal, and then last November 11 it was Butuan City in the Caraga region, hosted by Bishop Juan de Dios Pueblos, with Archbishop Emeritus Fernando Capalla, Archbishop of Zamboanga Romulo de la Cruz and other prelates and diocesan priests, Protestant Pastor Art Corpuz and imams from Mindanao joining some 2,000 citizens from all over the region. From here on several assemblies are scheduled in Central and Southern Luzon, as well as in Davao City and a big one in Metro Manila and Northern Luzon, etc. It’s not your typical hakot political rally where people are paid P300 per head, now here, gone in two hours---but the National Transformation Council (NTC) live and in action. NTC's assemblies draw big highly emotionally-charged crowds from various faith communities---led by archbishops and bishops, Protestant pastors and imams and ulamas from the Muslim sector, who lay down the spiritual and moral foundation for political action---as well as leaders and professionals of civil society who protest the Aquino administration’s incompetence and corruption. In the first three assemblies, a historic “Declaration” has been issued each time and signed by attendees, calling for President Aquino and his cohorts to step down in favor of other leaders who can do the job of governing far more competently and honestly. These twin issues of corruption and incompetence raised in each assembly are particularized to explore problems and solutions in the host region---the better to connect with the locals. The NTC assemblies, reminiscent of past protest movements in Philippine history, are being stirred with INCREASING EMOTION in various places around the country. They add to the urgency of CHANGE in the current political landscape, where various national and local politicians are mired in charges and counter-charges of corruption---polluting the political atmosphere everywhere. The eagerness of ordinary citizens to attend these assemblies signals that people are truly seeking reform, not just of the corrupt and ineffective system and the bundle of politicos leading the nation, but also of the HEART AND MORAL FIBER of the nation. Our people obviously are sick and ashamed of the political depravity which has become synonymous with our native land, and many have found in the NTC challenge the seeds of hope for a more MORAL and prosperous future that Filipinos failed to get under their political leaders---but which they more than fully deserve as a nation of HOLINESS AND HEROISM (to borrow a phrase from the National Prayer for the Apostolic Visit of Pope Francis). In Butuan, a young tribal girl with a magnificent voice sang the EDSA Revolution’s anthem, “Bayan Ko,” provoking clenched fists once again and tears in many eyes. In Cebu City this blogger sat next to a woman leader from Mindanao who couldn’t stop crying throughout the NTC assembly led by Cardinal Vidal---she evidently felt a deep love for country, but also the pain of despondence and hopelessness over our lurid politics. 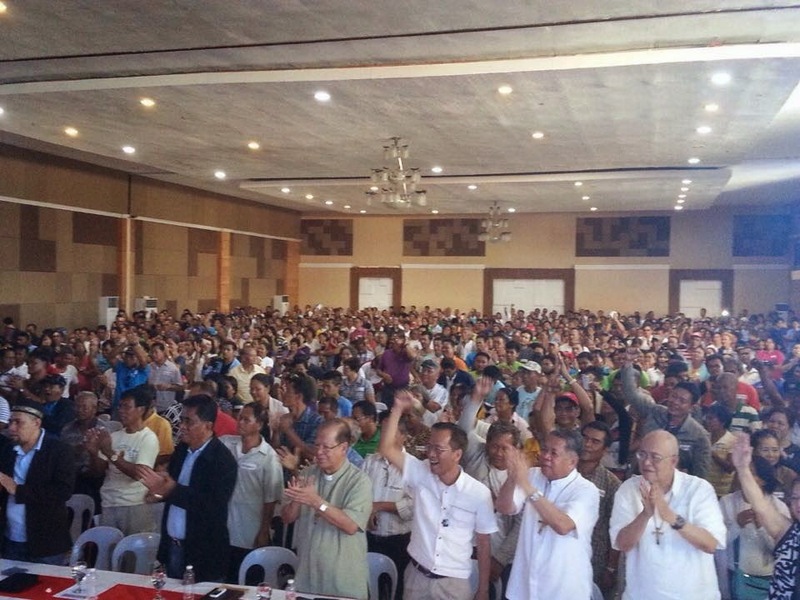 In Butuan City last Tuesday where 2,000 prayerful civic leaders from Caraga filled up the Big Daddy’s Hotel and Convention Center, the Butuan Declaration zeroed in on government negligence and incompetence in the wake of Yolanda’s first anniversary this month, the 7.2 magnitude earthquake of Oct. 15, 2013, that had destroyed centuries-old churches, public buildings and homes in Cebu and Bohol, and the killer floods that struck Davao Oriental and Compostela Valley last Dec. 4, 2012. Butuan called for the NTC “to speed up its efforts to compel President Aquino to relinquish his position, so that the earnest work of national transformation could begin.” More than ever, said its Declaration, “we believe that peace and good governance in the country must begin in Mindanao” and I might add, that this is the land of promise envisioned many decades ago by the best-loved President of all, Ramon Magsaysay. One of the leaders of NTC from its inception, former National Security Adviser and later Defense Secretary Norberto B. Gonzales of the Arroyo administration, took the floor in Butuan for the first time in an NTC Assembly. He hurled the challenge to the Filipino people to launch a PEACEFUL REVOLUTION, NOT A VIOLENT ONE,” to enable the nation to break the chains of poverty and helplessness that has gripped it over many decades. In Butuan the three young stars of NTC were also present---who are models of idealism, service to God and country for our young people. 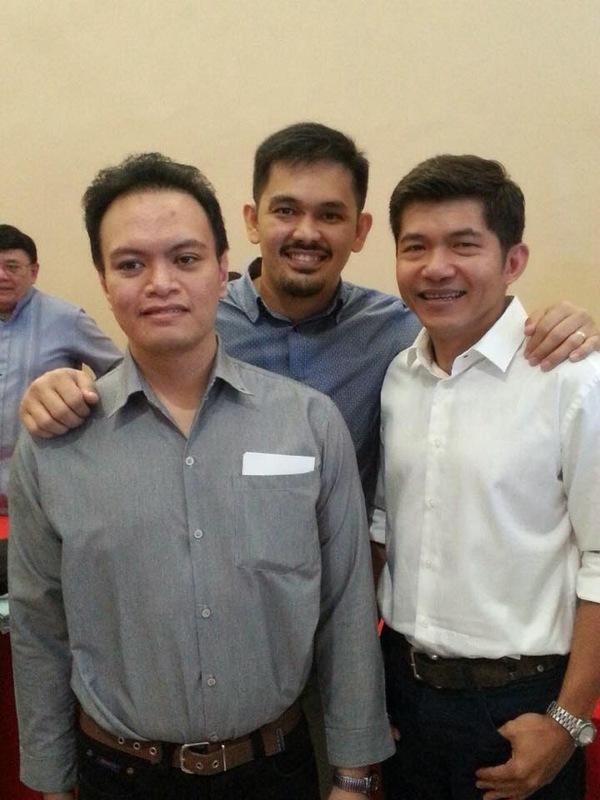 These are Dr. Greco Belgica, who filed and won the first case against DAP in the Supreme Court; Atty. and former Biliran Rep. Glenn Chong, who was cheated in the 2013 congressional elections and who has since dedicated himself to exposing the evils of the PCOS-machined elections; he has also joined other civic leaders in opposing in the SC the intended purchase of 42,000 PCOS units by Comelec for 2016 at the cost of P16.4 billion. There's also religious leader and professor Christian Seneres, who advocates a “judicial coup d’etat by the SC”, just like what happened in Egypt where the Court dissolved the lower chamber of parliament.” Seneres argues that our High Court can do this by ruling vs. the 2013 senatorial winners who were proclaimed by Comelec with indecent haste even before significant results of the PCOS elections were in. Among the gems of thought left by the Butuan NTC Assembly to the attendees was this passage from St. Augustine during the 5th century of the Common Era: “Without Justice what would the great empires be but teeming broods of robbers.” How very true. Let’s do away with this teeming brood in our midst.